UPDATE: Samsung has now revealed an official exchange program for the Galaxy Note 7 recall. Full details at this post, but you may want to read some of the details below for your specific carrier. UPDATE 2: We have updated each carrier section below with the latest details. All of the major US carriers have now acknowledged that they have stopped sales of the Samsung Galaxy Note 7, following Samsung’s statement about battery cell issues and an impending recall. While most seem to still be working with Samsung to determine the best course of action for replacing the Note 7 you may have purchased with a new one, almost all of them are offering immediate returns and full refunds with no re-stocking fee should concerns over exploding batteries have you worried. Below, you’ll find statements and details from each carrier. Samsung has notified us that they have identified a battery cell issue in certain Galaxy Note7s. They have asked all retailers, including AT&T, to stop selling the device. Because safety is our top priority, customers are strongly encouraged to exchange the Samsung Note7 for a new device. Customers with a Note7 may select a Galaxy S7, Galaxy S7 edge, Galaxy S7 active, Galaxy Note7 or any other smartphone, and may also return any Note7 accessories. If a customer chooses another Samsung device, he or she will receive a bill credit of $25 per device. As we announced earlier this morning, customers can return the Note7 to T-Mobile for a full, complete refund of anything paid for the device and any Note7 accessories. We’ll waive any restocking charges and shipping fees, and customers can keep the free Netflix subscription and Gear Fit or SD card they received with purchase during pre-order. Customers have the option to use their refund to choose any device in T-Moble’s stores. As soon as we have inventory from Samsung, customers can exchange their current Galaxy Note7 for a new Galaxy Note7, and we will notify customers as soon as we have inventory available. Customers can replace their current Galaxy Note 7 with a new one when stock becomes available. Customers also have the choice of immediately exchanging their device for a Samsung Galaxy S7 or Galaxy S7 Edge; this includes replacement of any Note 7 accessories with a refund for any price difference between devices. Sprint will allow customers to exchange their Note 7 for any Sprint device and will reimburse any price differences and waive any restocking and shipping fees. 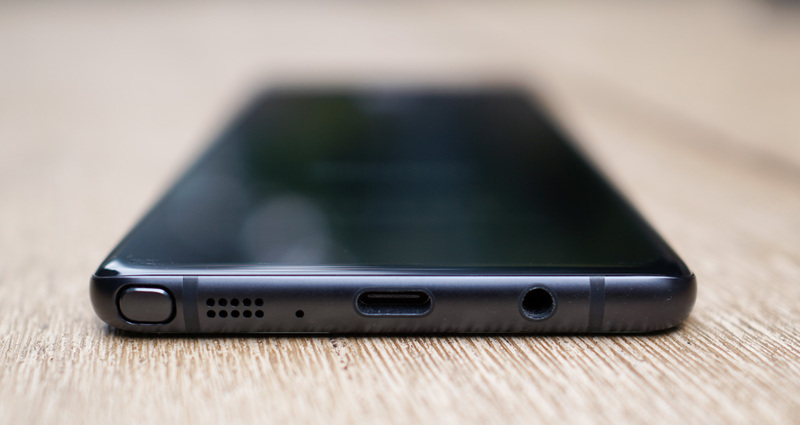 Sprint customers should visit the store where they purchased their Note 7 and a Sprint team member will gladly help customers get up and running with their new device on the Sprint network. Sprint Note 7 customers can also call 1-800-SPRINT1 for information on how to exchange their device. On a related note, our Galaxy Note 7 review is out! ?